A modern, software-defined infrastructure, enables organizations to leverage prior investments, extend existing IT knowledge and minimize disruption along the way. 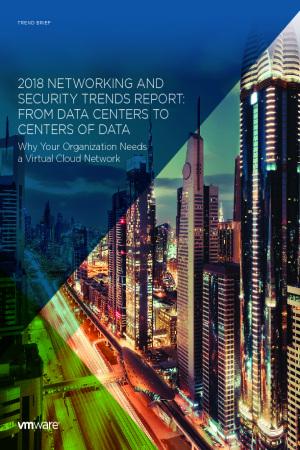 Read this whitepaper to learn what to look for in an HCI solution, when to make the move, and how VMware vSAN addresses the unique needs of midsized businesses including: running business-critical applications, ROBOs, and hybrid cloud. A new approach is needed. Examining and incorporating the five requirements discussed in this eBook will help to ensure the likelihood that employees will adopt new apps and adhere to new IT policies that are put in place now and in the future. Download the IDG white paper to learn how VMware Workspace ONE allows the enterprise to securely enable any application on any major device platform. In this paper, we’ll take a look at how the ways of thinking about “legacy” desktop virtualization and EMM are evolving to become today’s digital workspace. It’s a fact: Technology trends such as cloud, mobility, and IoT have been key drivers of digital transformation. But how has this impacted networking and security? Download the trend report to gain valuable insights so you can be prepared to keep up in a hyper-connected world.